17 Apr 2017 Washington, D.C. 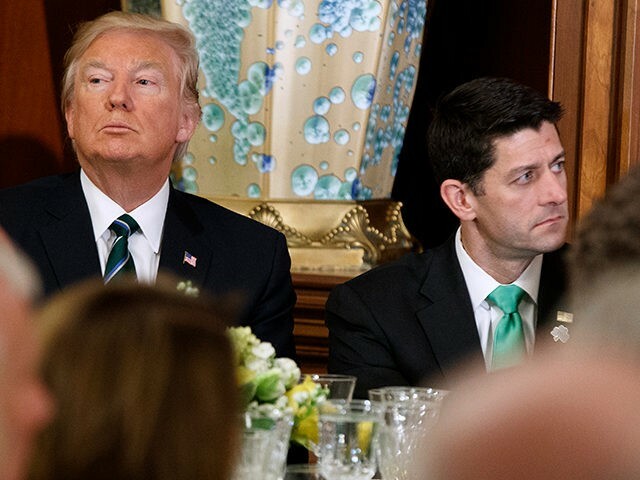 In 2015, Rep. Paul Ryan held a Congressional listening session at Snap-On, but the now-Speaker of the House won’t be able to make Trump’s trip to the Wisconsin tool manufacturer. There is no reason for that, he is happens to be on a codel. We were trying to coordinate, this was a, this, just, the President’s schedule and the Speaker’s schedule did not mesh on this. I have seen the copy of the text, he’s going to thank the Speaker in the text to make sure that that question isn’t asked, but I am here to tell you it was just scheduling. Snap-On’s headquarters is located in Kenosha which is also the hometown of White House Chief of Staff Reince Priebus, who according to the same official, is expected to be in attendance. Senior administration officials told reporters on Monday afternoon that Trump’s speech will focus on buying American products and hiring American workers and the erosion of these longstanding policies. One official went so far as to call “Buy American” the administration’s highest priority when it comes to spending American taxpayer dollars. One official emphasized the great dilution of such policies in the United States and the resulting lost job opportunities for American workers. The official said just the acknowledgment of the problem is remarkable and represents a fairly historic event. Four agencies will be primarily involved on the “Hire American” side: the Department of Labor, Department of Justice, Department of Homeland Security and Department of State. These agencies will be tasked with taking prompt action to crack down on fraud and abuse in the immigration system in order to protect workers in the United States. The order includes a specific clause for the H1-B visa program that calls on the four agencies to put forward reforms that ensure that visas are awarded to the most skilled or highest paid applicants. One suggestion involved changing the H1-B lottery system, which one official said disadvantages master’s degree holders. “About 80 percent of H1-B workers are paid less than the median wage in their fields,” one official stated. Some reforms will take place administratively and some will have to be pursued legislatively, one official clarified. The official was clear that one objective of the order is to “maximize the use of domestic content and minimize the granting of waivers.” One official stated that waivers may be properly renegotiated or revoked. The officials said that some free trade agreements have weakened Buy American laws, putting America at a disadvantage. One official stated that agreements will be reviewed to determine whether these agreements meet the standard of being fair and reciprocal for the U.S. The U.S. will reserve the right to renegotiate these deals.